Tumblin’, Tumblin’, Tumblin’ O V E R.
A few late summer showers gave the Russian thistles and kochia the growth spurt they needed to flourish. After winter kill, the wind breaks them from the stem and sends them tumbling across the Plains. Commonly called tumbleweeds, they roll and tumble where ever the wind sends them. 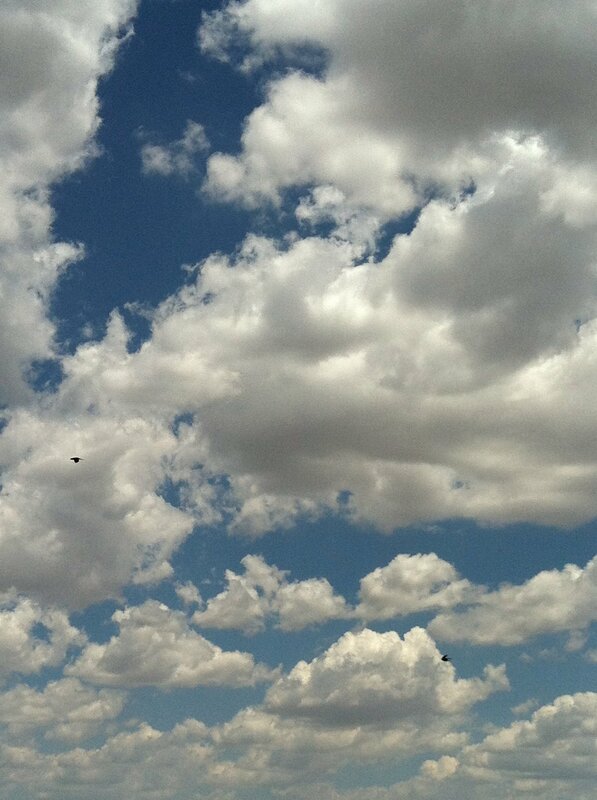 Is it just me, or did we have more windy days from Fall to Spring? It would be interesting to track how many miles a tumble weed tumbles. One day they are all racing south, then the wind shifts, and they head back north. I don’t ever recall seeing ditches full of tumble weeds spilling onto the road, or having to go around or through a roadblock of tumbleweeds. This is the year! 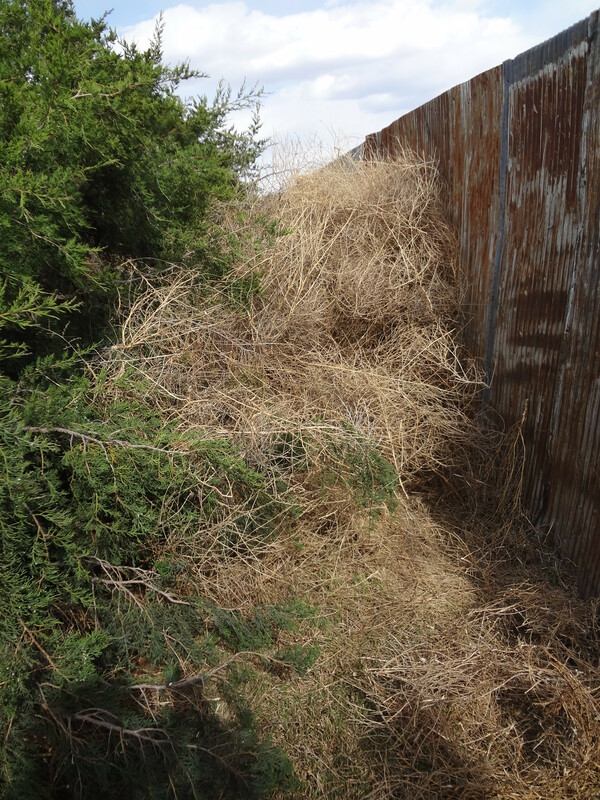 They have also packed fence rows and shelter belts creating a tumbleweed alley. 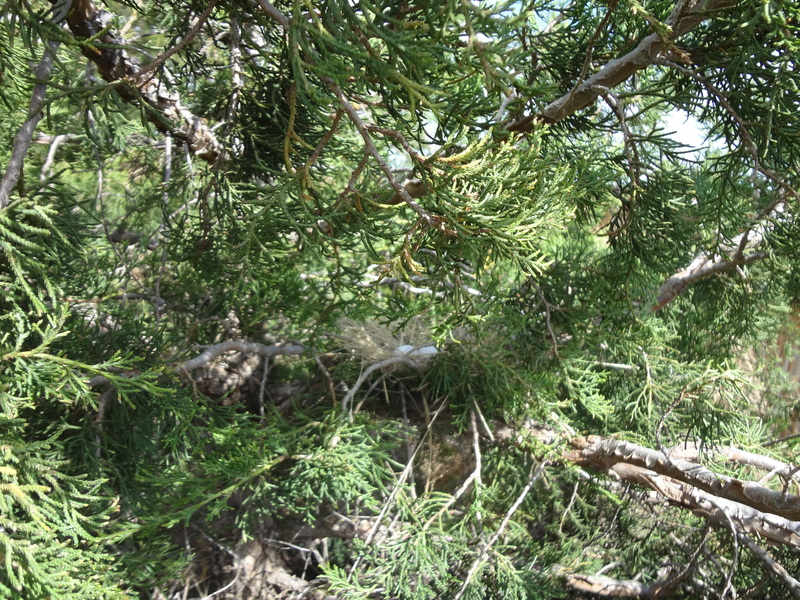 Left in these traps, the weeds can cause a lot of problems especially to the trees. 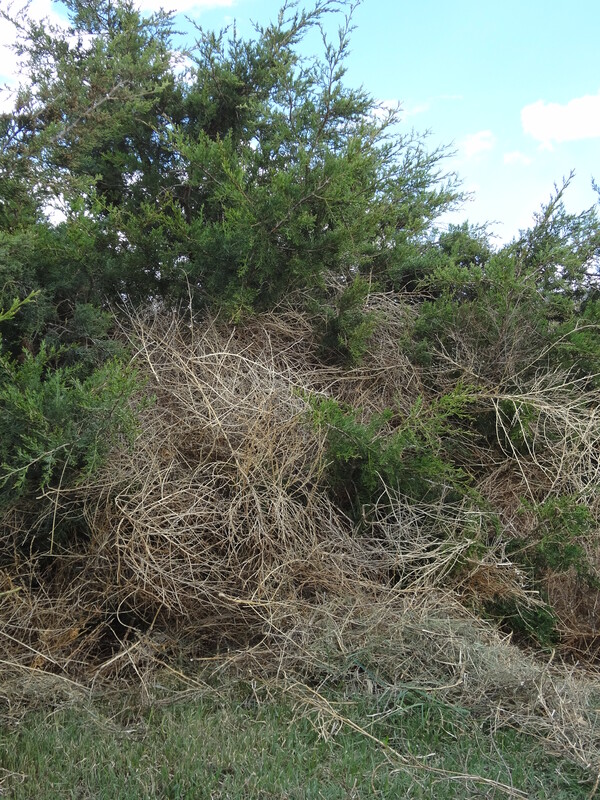 Shelter belts are designed to be a windbreak, so they naturally catch whatever is blowing. 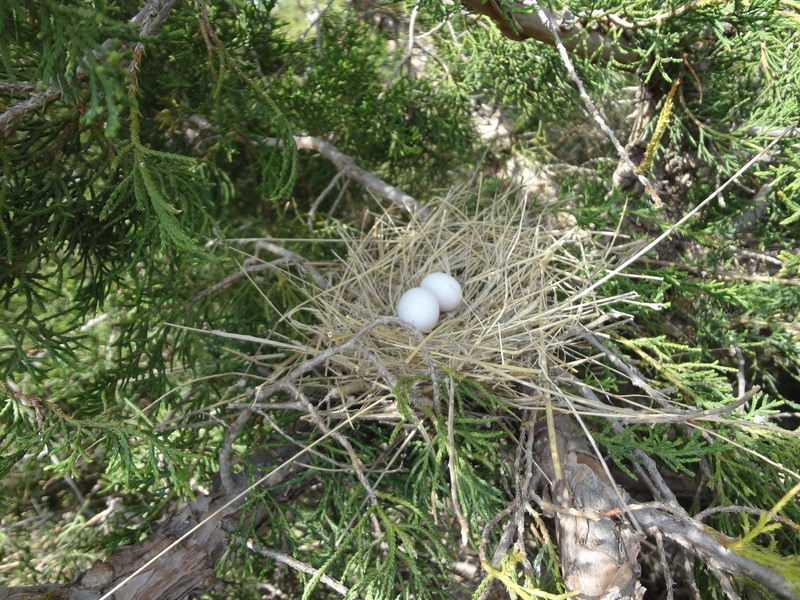 The multitude of blowing tumbleweeds continue to pack into the tree lines, and can weaken and smother the trees. 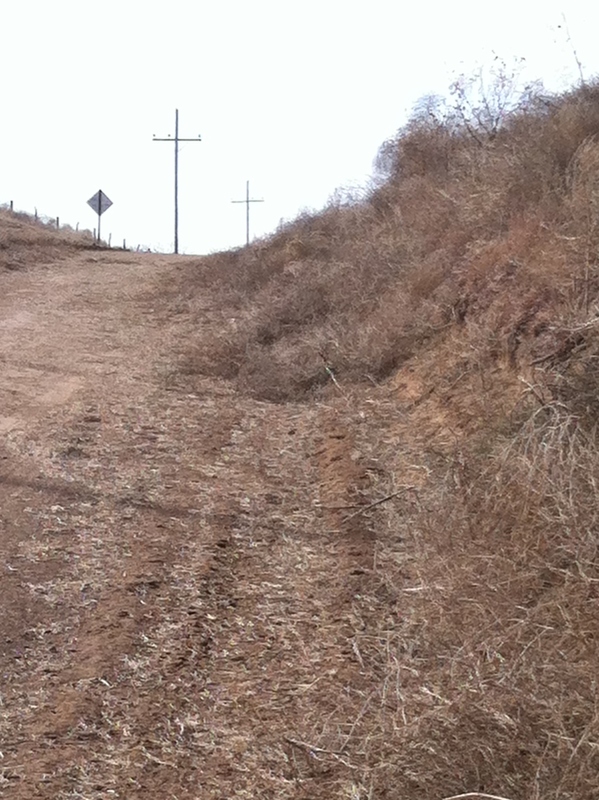 Tumbleweed removal has been a daunting task staring me in the face, but I finally got started. Raking and burning is the quickest way to handle these dry weeds, but we are in a burn ban. Plus, a day with no wind is needed, and we sure haven’t had one of those for a while! Instead, I raked the weeds out of a few trees at a time, hopped on the mower, and chased them down. I’m sure it looked quite comical, but I did make progress. Normally this job is much more successful with helpers. However, the men scattered from the farmyard after giving unsolicited advice, telling me how dusty I was, and inviting me to clean their shelterbelts when done here. I was able to get a few rows cleaned, but I have the worst row left. They are packed higher than my head! Who wants to come help? Do you ever feel stuck? Stuck in a rut, or trapped in a situation you can’t seem to shake loose? Don’t let the situation smother you! Begin to dig out today. Look for ways to change, grow and/or adapt. Get into God’s word. What is He trying to show or teach you? You may be surprised at the hidden blessings hidden among all the “weeds”!